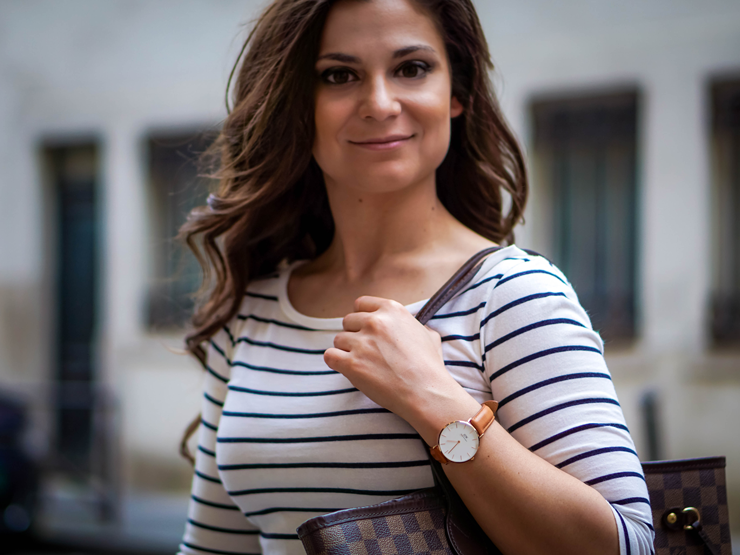 I’ve been a fan of Daniel Wellington watches long before I ever started a blog. It was one of the first watches I had ever purchased. 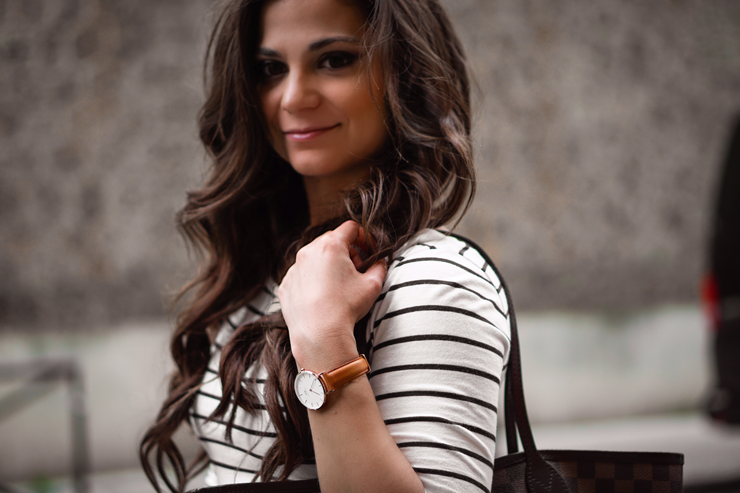 Daniel Wellington provided me a classic jewelry piece that was beautiful and functional. When you are working and even when you are out and about, knowing the time is important, and Daniel Wellington provides the solution. As a petite person, I was also super excited when they launched their new petite classic watches. Having a small wrist I knew this watch would be a perfect fit for me. While I also love their other styles, (which I have two) this is becoming my favorite. I have two straps for my Daniel Wellington petite classic, the first is the gold mesh and the second is the light brown leather strap. The option to change out straps is what makes Daniel Wellington an outstanding purchase. With a few easy steps you can create an entirely new look. 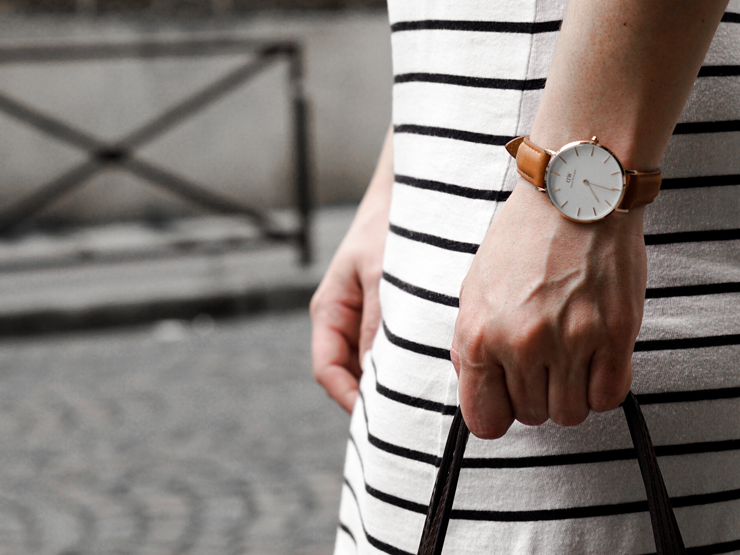 Daniel Wellington is constantly adding new styles and new accessories for their watches. One example I love is the cuff as an accessory. You can either wear them as a stand-alone or pair them with a watch. Personally, I have two of them. I love stacking cuffs. 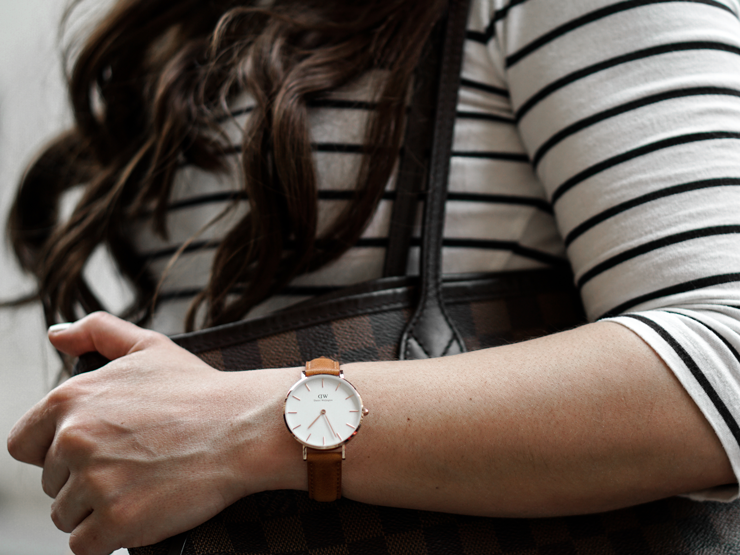 So as you consider adding a classic watch or accessories to your jewelry collection, remember that Daniel Wellington is the solution to giving you that perfect polished look. Below I’ve included a special Daniel Wellington discount code that you can save 15% using! Previous Post Spring Denim Trends You’ll Go Crazy Over! Love this classic watch! 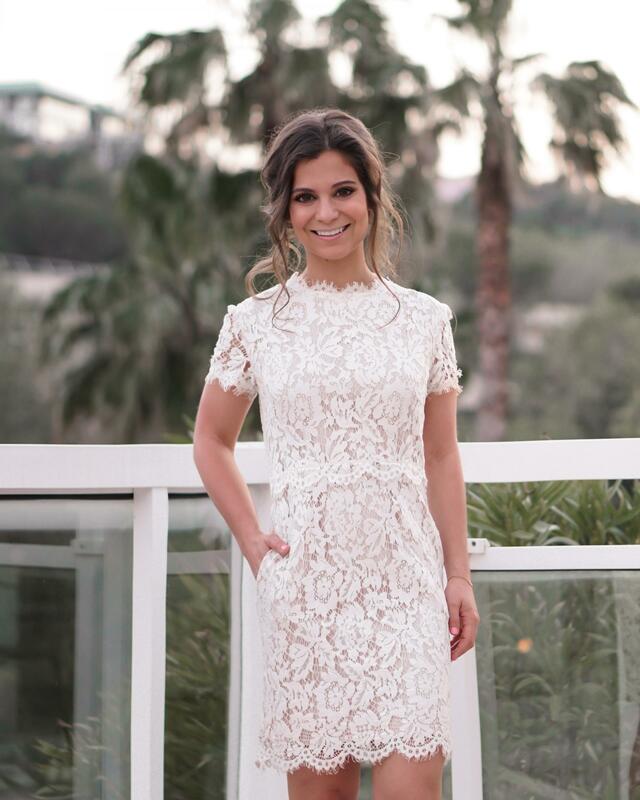 It’s so chic and looks perfect with any look. I adore your striped dress!